Now this is getting ridiculous. The exchange traded fund industry has offered us ways to slice and dice exposure to multiple industries, regions and countries and even caters to different religious affiliations (see Faithshares, which has numerous Christian denominations, or sharia compliant funds for Muslims). Americans can invest in 972 different ETFs with nearly $1 trillion in assets between them. Lately though it seems that the companies are trying to come up with something that the other guy simply hasn’t thought of yet, no matter how inadvisable it is as an investment. Witness the proposed Mongolia ETF. Do Joe and Jane Sixpack really need to be able to access the juggernaut that is the world’s least densely-populated country? If they are true believers in the Asian miracle then they can get a teeny, tiny bit of exposure to it through a whole host of regional ETFs (0.02% for a popular Asia Pacific fund) or, better yet, through mining funds (the only industry worth anything in Mongolia). But does anyone absolutely, positively have to make a specific bet on Mongolia? Even if they did, they would surely either be Mongolian or be sophisticated enough to find a broker in Ulan Bator or one stateside who can buy local stocks for them. As for the other 99.99999% of us, the answer is a resounding “no.” Getting in and out could be quite costly given the fact that Mongolia has a tiny stock market and it would be the smallest-ever country with an ETF of its own. 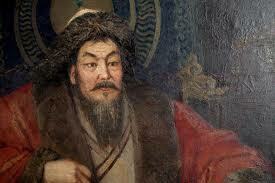 Genghis Khan may have ruled a fifth of the world’s land mass back in the 13th century but that was a loooong time ago. Most of its 2.6 million people are dirt poor. To put in perspective how economically insignificant Mongolia is, consider the fact that New Zealand (the smallest economy with a dedicated ETF according to SeekingAlpha) is about 25 times larger. Yes, yes, Citigroup named Mongolia one of its “global growth generators” last year. Either this was their idea of a practical joke or they were referring to growth for desperate ETF salesmen. This entry was posted in Finance, Stupidity, Uncategorized and tagged finance, mongolia, stupidity. Bookmark the permalink.